These rivets are made of the plastic material. This is a universal part-Fits all body types and Trim levels. Save yourself time and money. No need to go to an auto parts store and look for different fasteners. -Perfect to replace your old or worn one. - Used widely for car fender, bumper, door or other car surface. - High quality plastic material, durable and long service life. 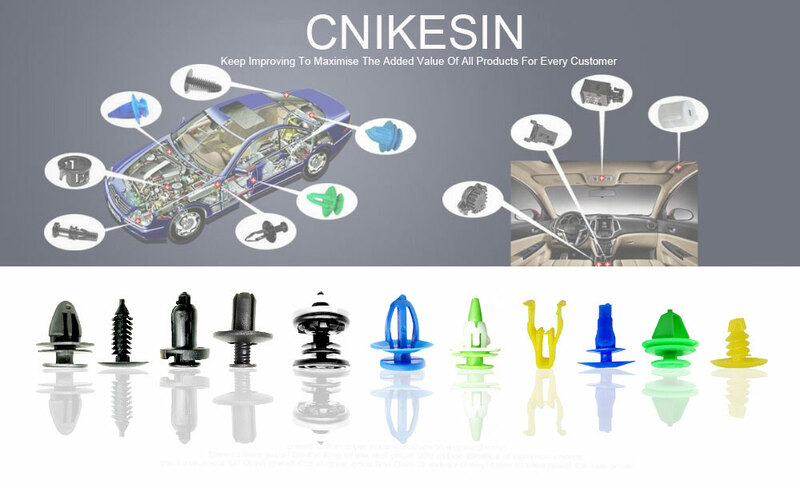 - Application: Universal type, suitable for many cars. 3. The colour of the actual items may slightly different from the listing images due to different computer screen, thanks for your understanding. 4. No Instructions Included. Professional Installation Is Highly Recommended!